All your Alexandria taxi rides nearby will be much easier to track, when you open up a Corporate Account. Not to mention that this option streamlines your billing so staying on top your taxi-related expenses will be a breeze from now on! 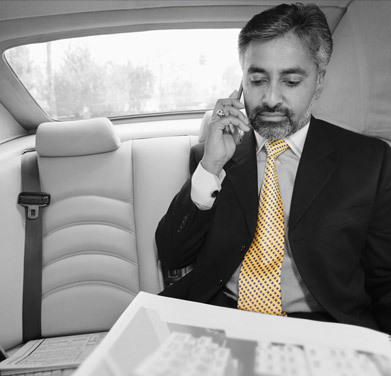 Alexandria Yellow Cab offers corporate charge accounts to businesses of all types, shapes, and sizes. The benefits of opening up a corporate charge account with us are numerous and versatile. With a monthly invoice tailored to suit your needs, you’ll get exact information that you want, including, but not limited to, a map of the route taken, passenger signature, and detailed trip statistics. Just tell us which info about the rides you need/want and your favorite taxi company near Alexandria will make it appear on your bill! To begin using your account, AYC office will provide you access to digital vouchers that can be used online, over the phone, or with our Android and iOS Apps. You have the flexibility to limit when, how often, or who can use the account. The vouchers are good for any trip with Alexandria Yellow Cab, whether it’s a question of an hourly option, point to point, round trip or city tour. Your business will have access to a DC taxi service near my location that is licensed by the City of Alexandria and services all of Northern Virginia and the Washington Metropolitan Area. Alexandria Yellow Cab is committed to providing the most reliable, prompt, technologically advanced, and courteous taxi cab service in this geographical area. CLICK HERE to download the account application. AYC monthly invoices will provide you with detailed information which allows you to track each user’s name and charges related to their individual taxi trips. Your monthly charge statements will be emailed at the beginning of each month. For questions on your bill please contact us.